My daughter BFF and her parents will be joining us for dinner this evening. I’m cooking Balinese food with all the condiments (can you spot the Indonesian crackers in the glass jars). 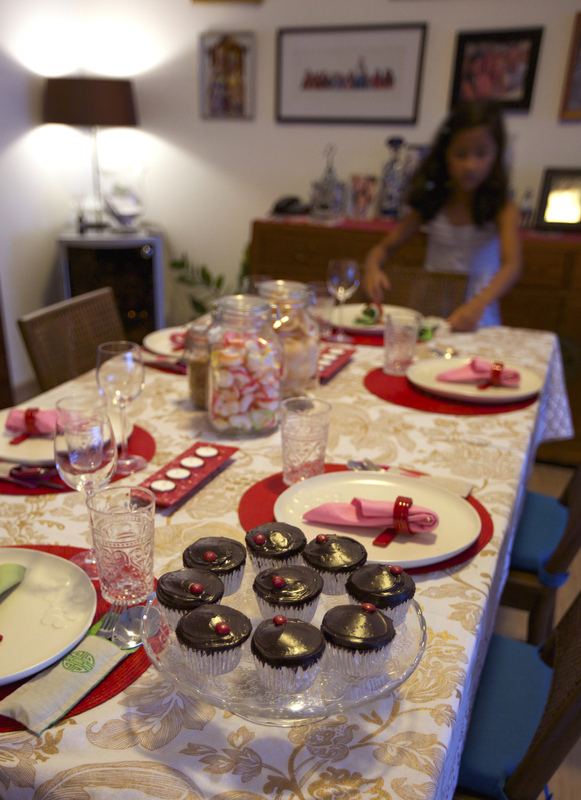 My daughter set the table with so much excitement and she requested double chocolate cupcakes for dessert (her current favourite). Music is playing in the background, Hubby is slicing cucumbers for our G&T, its humming and buzzing in our household, I’m loving it. Enjoy your weekend everyone, cheers! 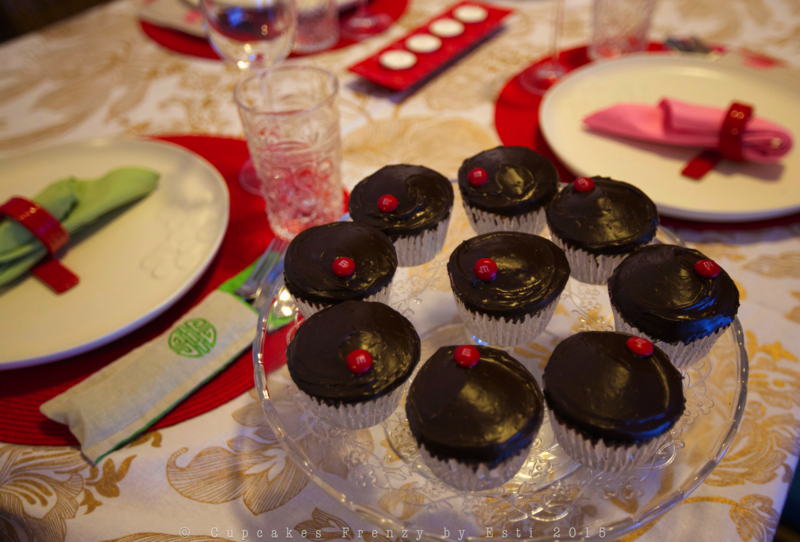 This entry was posted in note from the baker and tagged baked from scratch, dinner party, double chocolate cupcake, Gift Ideas, home made, Manila. Bookmark the permalink.